Two peak industry bodies have announced a changing of the guard this week. The Australian Logistics Council (ALC) has announced that Kirk Coningham (below) has been appointed as the organisation’s new permanent chief executive officer. “The ALC Board is delighted that Kirk has taken up this key leadership role, and is looking forward to working closely with him as we continue to grow ALC’s profile, membership and advocacy activities,” ALC hair Philip Davies said. 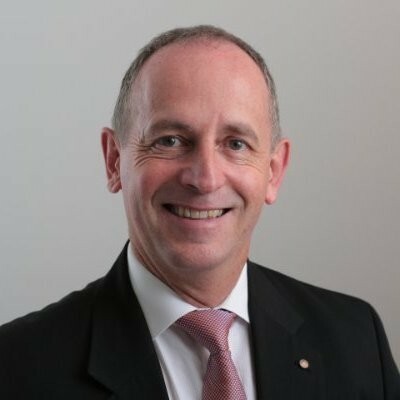 Mr Coningham was the national executive director of the Urban Development Institute of Australia until December 2018, and has previously headed the Master Builders Association of the ACT as chief executive. He has also occupied senior positions with Leighton Holdings, the Australian Medical Association and the Murray Darling Basin Commission, has served as a diplomat, and been a Captain in the Australian Army. Meanwhile the Infrastructure Australia Board has appointed Romilly Madew as chief executive officer, replacing Mr Philip Davies who departed the organisation last year. Infrastructure Australia chair Julieanne Alroe welcomed the appointment of Ms Madew, who has been a driving force in Australia’s sustainable building movement. She has led the Green Building Council of Australia since 2006. “Recognised around the world as a leader in the property and construction industry, Romilly is an experienced CEO with expertise in strategy, governance and policy development,” Ms Alroe said. Her appointment comes as Infrastructure Australia prepares to release the Australian Infrastructure Audit in mid-2019 and begin work on the next Australian Infrastructure Plan.